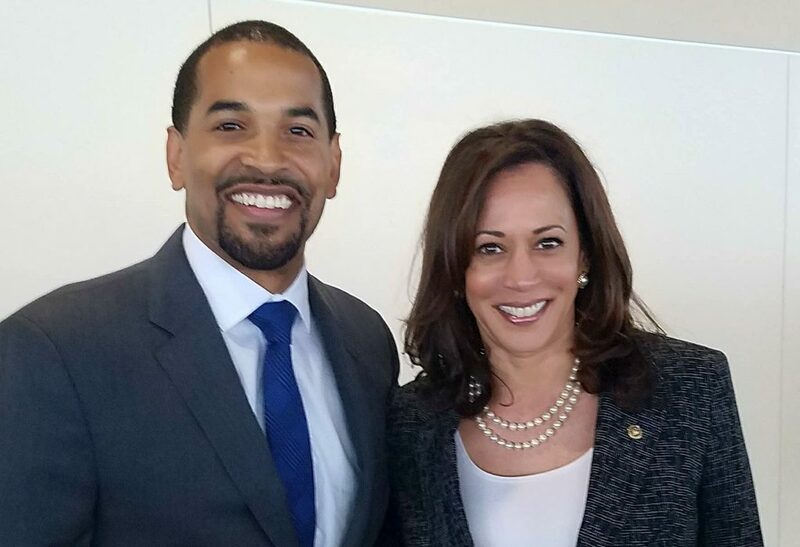 The campaign of Will Jawando, Democratic nominee for Montgomery County Council At-Large, announced today the endorsement of U.S. Sen. Kamala Harris, D-C.A. “Will Jawando is an example of a rising leader in public service. We need leaders like Will who are grounded in their communities, understand the challenges facing people in this country, and have the courage, the willpower and the policy experience to get things done,” said Sen. Harris. Earlier this week, the Montgomery County Police Department (MCPD) released body camera footage of the killing of Mr. Robert White, a Silver Spring neighbor and black man. Mr. White was walking in his neighborhood when he was confronted by Officer Anand Badgujar, starting an interaction that would ultimately lead to Mr. White being shot more than 7 times and losing his life. I feel deep sadness and hurt for Robert White, his family and friends and our greater Silver Spring community. I am also strongly determined to put in place better policies, safeguards, training and accountability mechanisms, to stop the shootings of unarmed black men and women. Now that the Howard County State’s Attorney office has determined the shooting was legally justified, MCPD will conduct an internal investigation to determine whether any departmental rules and policies (including use of force) were broken and, if so, what administrative action should be taken. Supporters of Will Jawando, candidate for County Council At-Large, will be gathering with Jawando at All Set Restaurant & Bar in Downtown Silver Spring at 8pm Tuesday to watch returns in the contested at-large county council race. Jawando, 35, of Silver Spring, won endorsements from a long list of progressive organizations and people, including the highly-coveted position on the Apple Ballot with support from the Montgomery County Education Association, a spot on the Bus Ballot with support from SEIU Local 500, and a position on the Green Ballot with his endorsement from the Sierra Club. With more than 1,100 individuals contributing a total of more than $95,000 in low-dollar donations to his campaign since its September launch, Democrat Will Jawando today became eligible for the complete pre-primary total of $250,000 in matching funds from the county’s Public Election Fund. “I am humbled that so many Montgomery County voters support our vision for greater opportunity for all,” Jawando said. Jawando, the only at-large candidate who lives in East County, drew support from across the county: Burtonsville, Cabin John, North Potomac, Takoma Park, Wheaton, Sandy Spring, Germantown, Olney, Montgomery Village, Gaithersburg, Potomac, Clarksburg, Kensington, Germantown, Silver Spring, Rockville and more. Meshulam Ungar, a Silver Spring resident and host of the podcast Everybody Assumes, interviews Will about his his early life, identity politics, and work for Obama. Listen below or subscribe on iTunes. The labor union representing building cleaners, maintenance workers, security guards, and engineers, SEIU 32BJ, announced its endorsement of Will Jawando, Democrat for Montgomery County Council At-Large. “Low-wage workers like 32BJ’s cleaners and security officers trust in Will to stand with working families. We’re confident that with his policy background and life experience, he will make a significant difference for the County residents,” said Jaime Contreras, vice president of the Capital Area District of SEIU 32BJ. Election Day is a critical time for our campaign and we need your help to make sure that we get as many votes as possible. 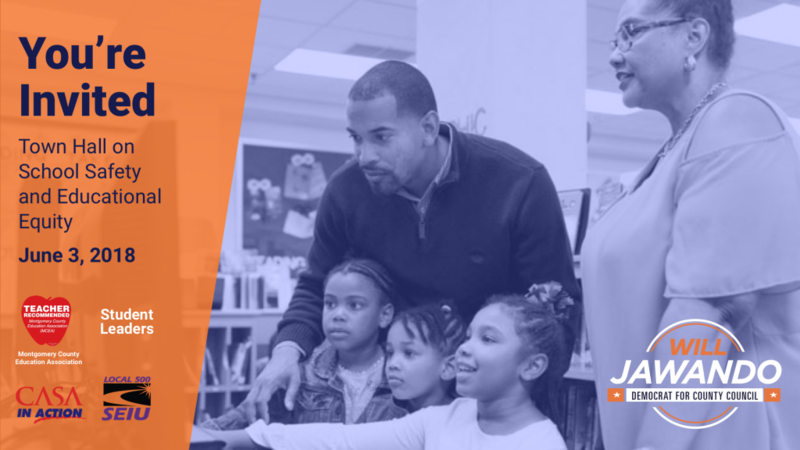 Election Day volunteers will be at voting locations to pass out campaign literature and be a presence for Team Jawando. To sign up, please fill out the information below.